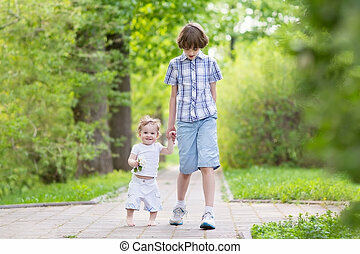 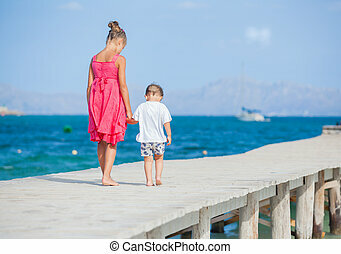 Boy with his sister walking on jetty. 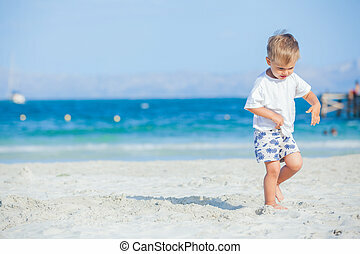 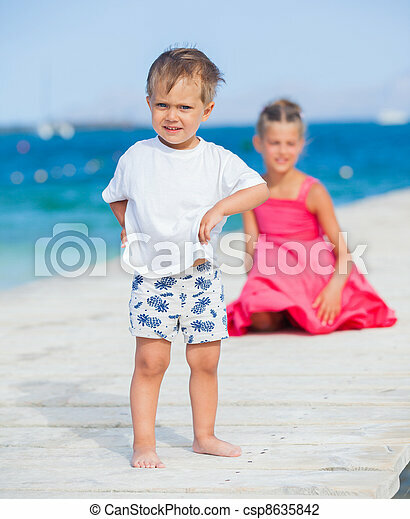 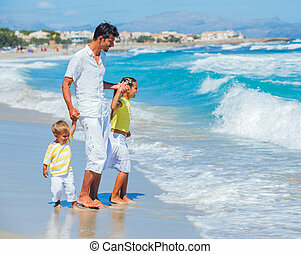 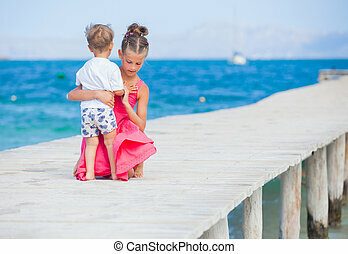 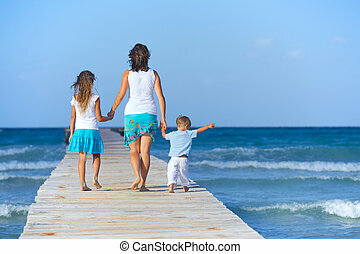 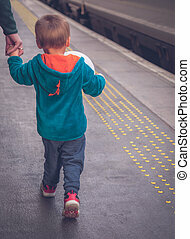 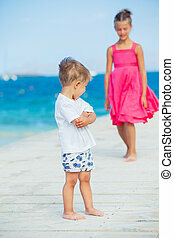 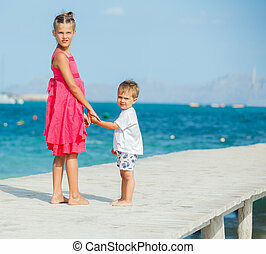 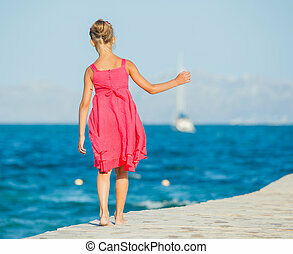 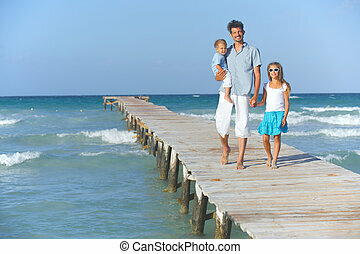 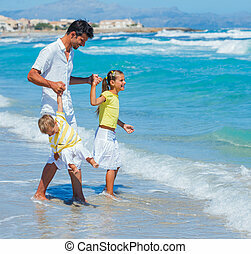 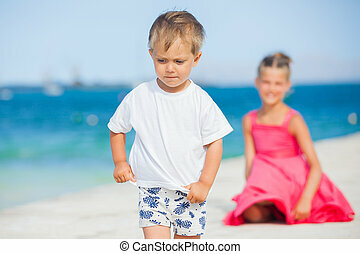 Cute toddler boy with his sister walking on jetty with turquoise sea. 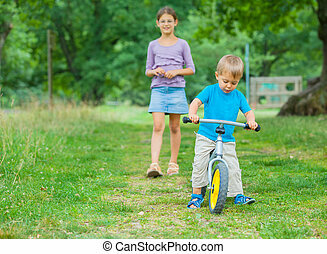 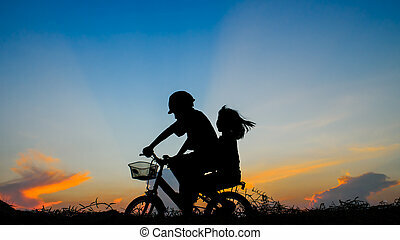 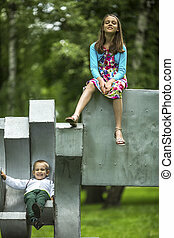 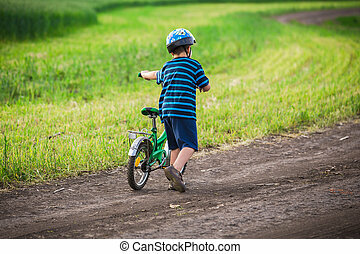 Little boy with his older sister on the Playground in the Park. 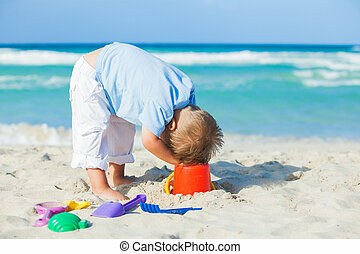 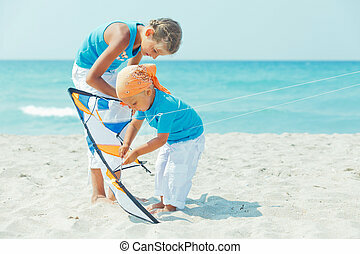 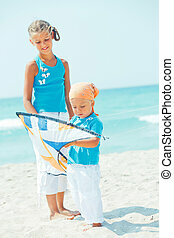 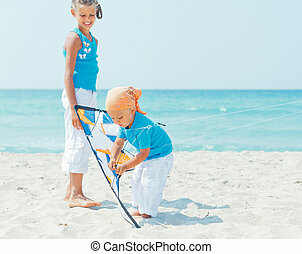 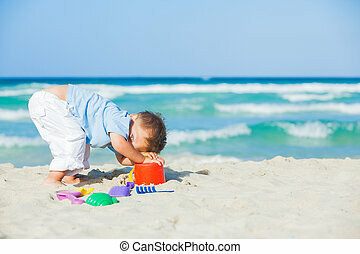 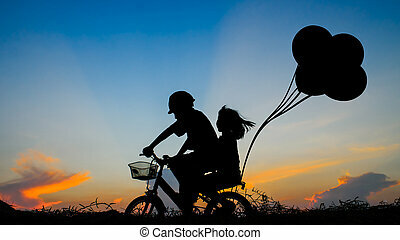 Little cute boy playing his sister with a colorful kite on the tropical beach. 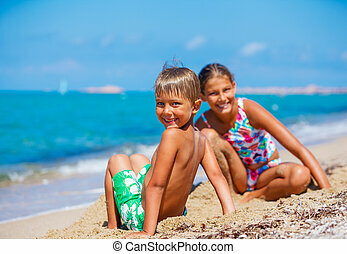 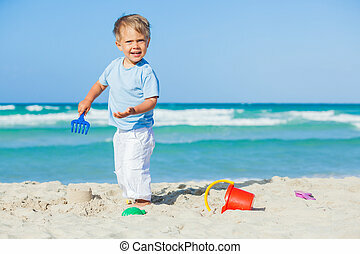 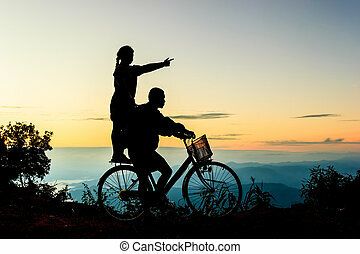 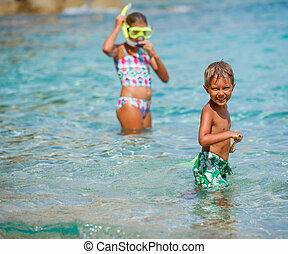 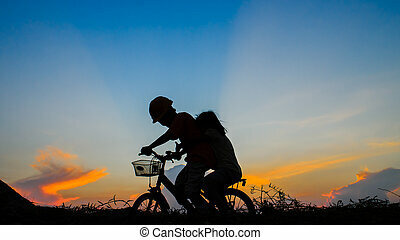 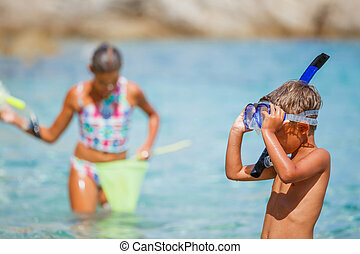 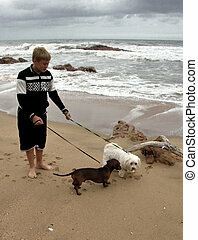 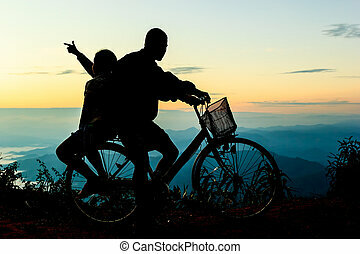 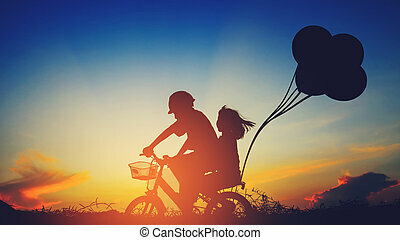 Joyful boy with his sister on the tropical beach going to scuba diving.